Can’t wait? Watch how our customers use us! See how this video streaming app used CleverTap’s powerful segmentation and reached out to users in their local languages with timely notifications. The future of consumer ecommerce belongs to brands who curate experiences that keep customers coming back. 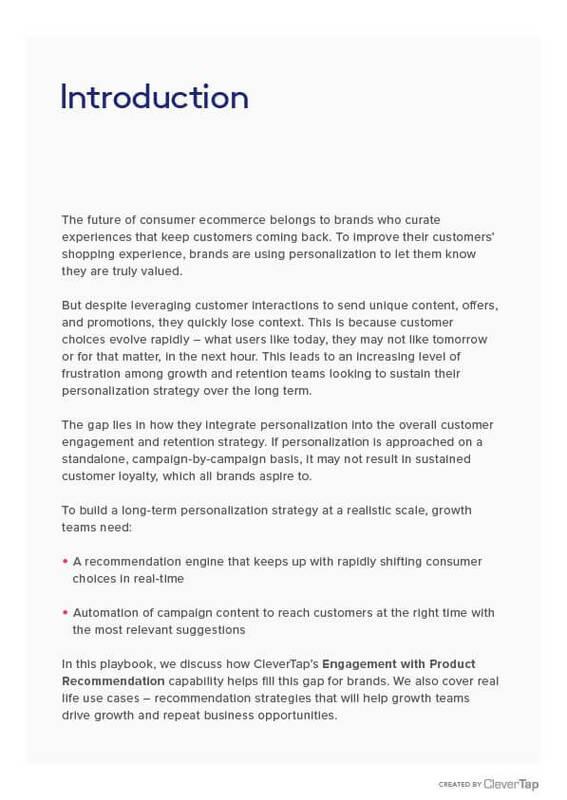 To improve their customers’ shopping experience, brands are using personalization to let them know they are truly valued. 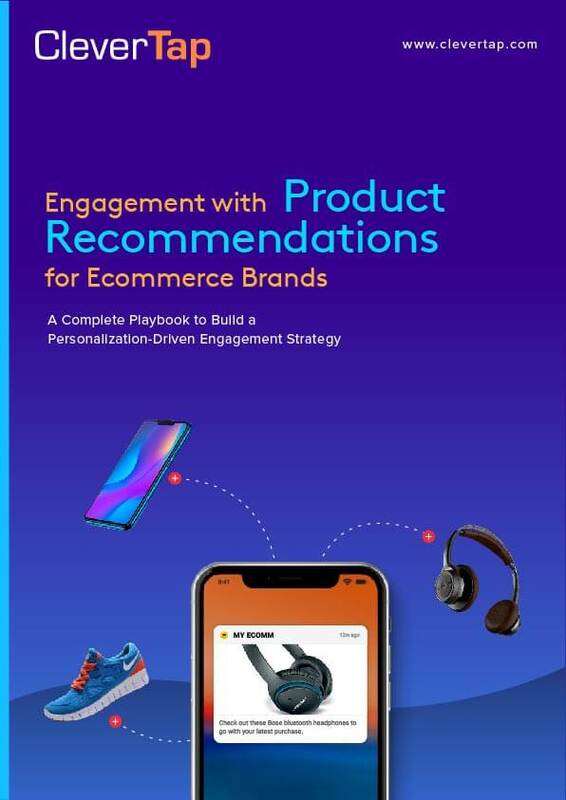 In this playbook, we cover how CleverTap’s Engagement with Product Recommendation capability helps brands personalize customer experience. We also cover real life use cases – recommendation strategies that will help growth teams drive growth and retention. Provide value now and serve the users’ need for instant gratification by offering them the most relevant products in the moment of truth. Integrate recommendations in your overall engagement strategy using any channel like Push Notifications, In app messages, Text messages, amongst others. Assisted product discovery opens new avenues for users to explore new categories or products that they would not chance upon by themselves. 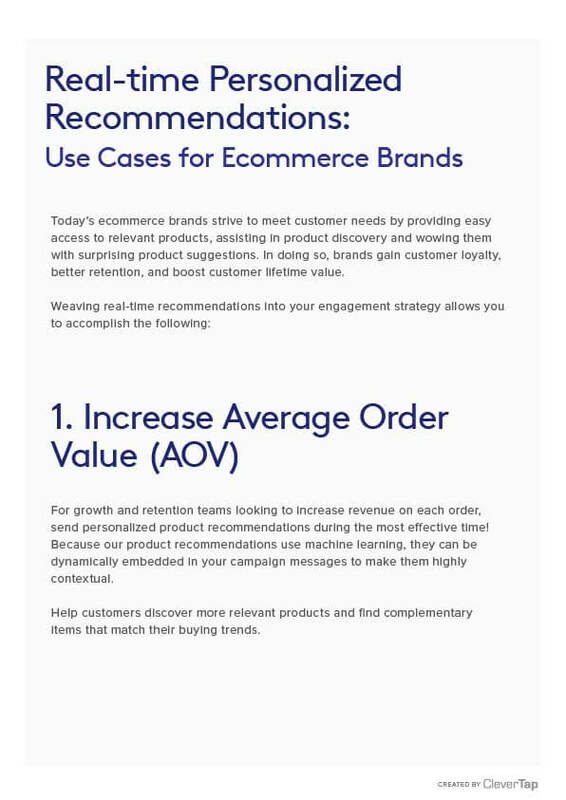 Engage customers with highly relevant recommendations and serve customers not just seasonally but throughout their lifecycle.